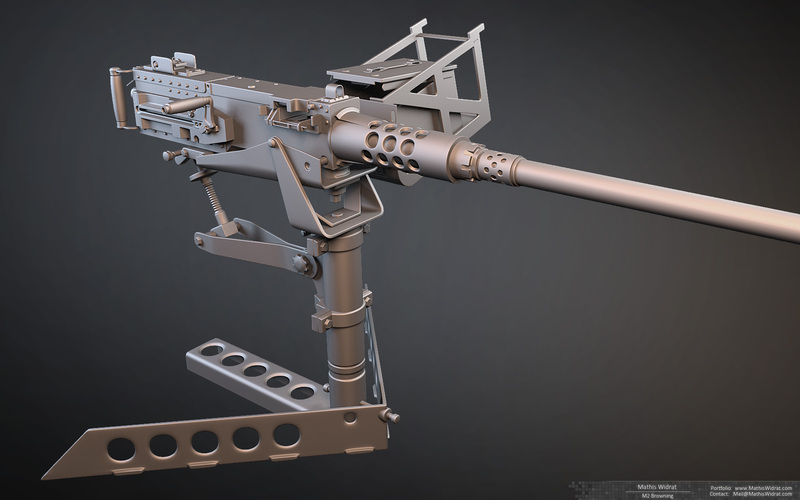 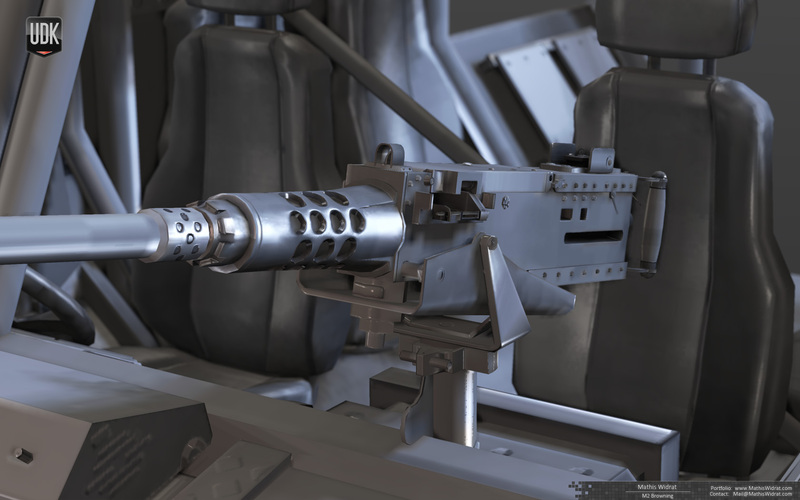 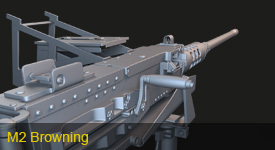 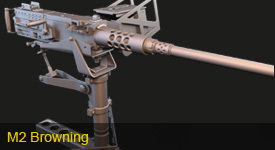 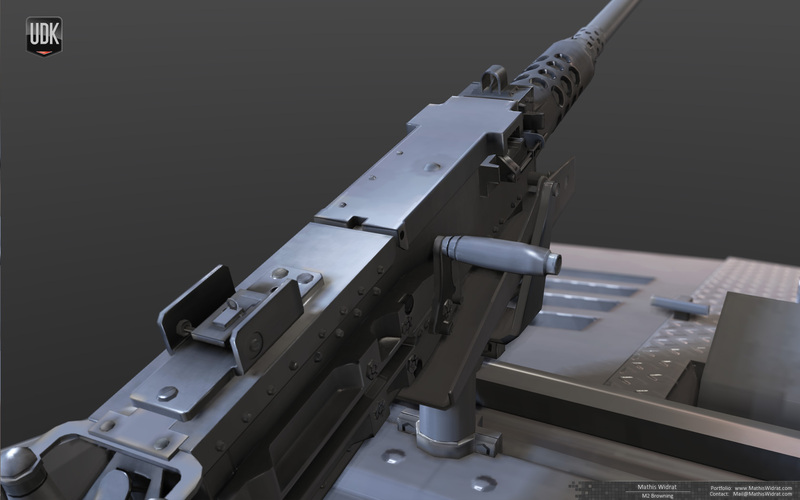 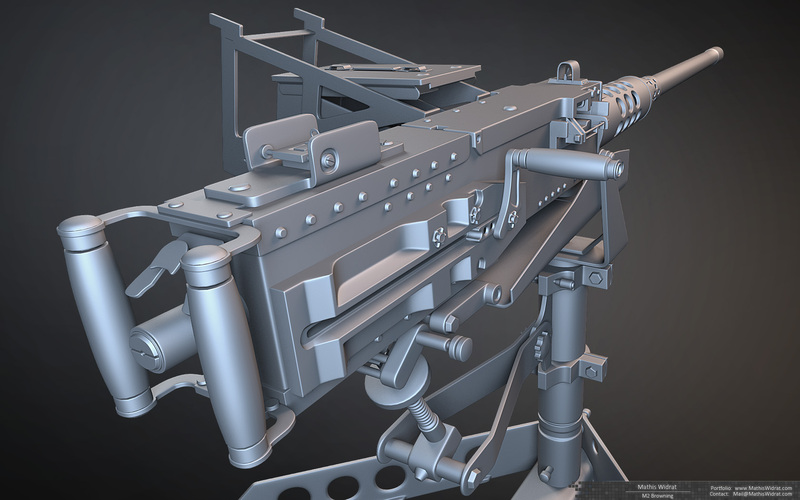 The M2 Browning is a heavy machine gun which is especially used to arm vehicles. 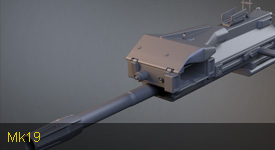 I create the highpoly, lowpoly and the lowpoly bake for this weapon. 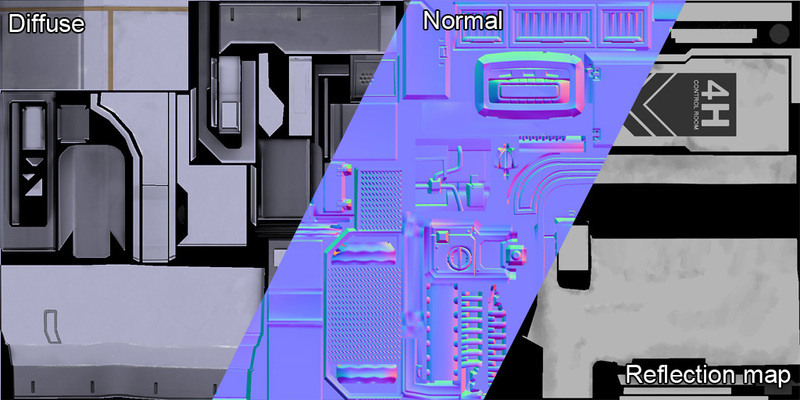 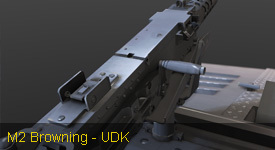 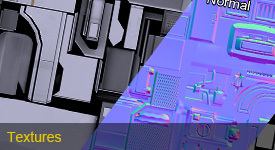 It's rendered in the UDK. 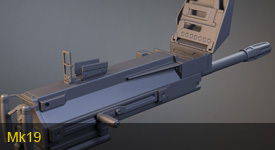 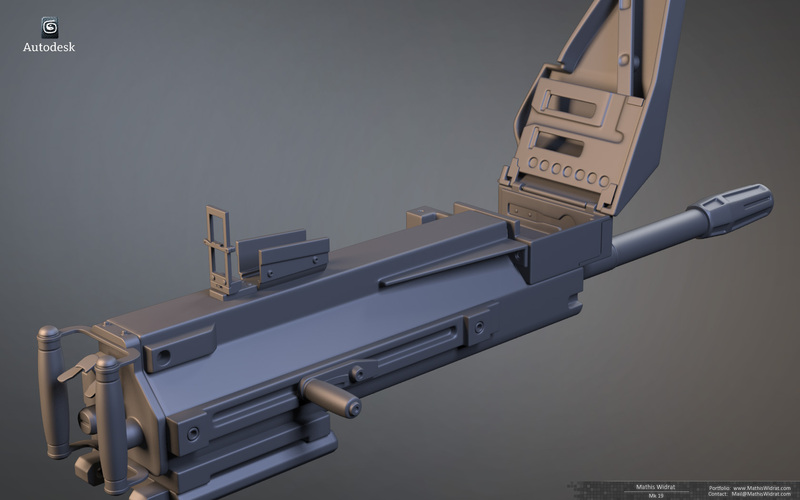 The weapon is part of the modular system for the Foxhound and also part of my bachelor thesis. 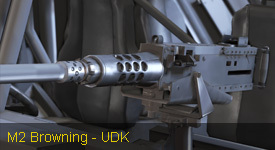 The Mk19 is a modern grenade launcher which can be mounted on vehicles. 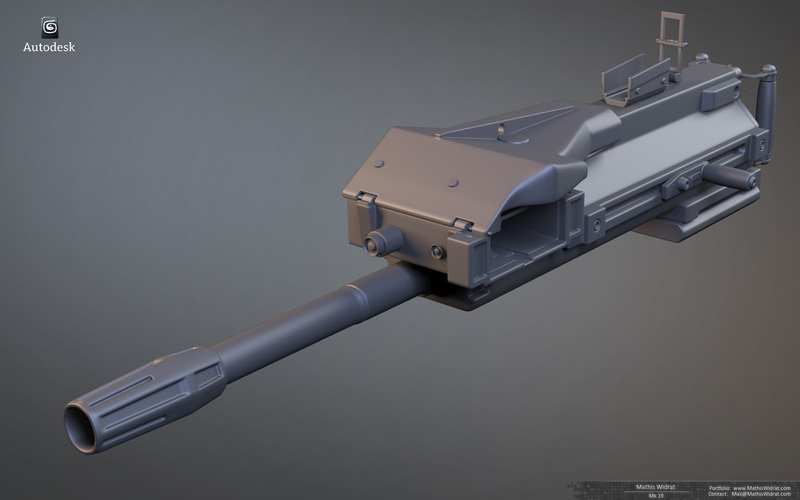 Currently only the highpoly is finished. 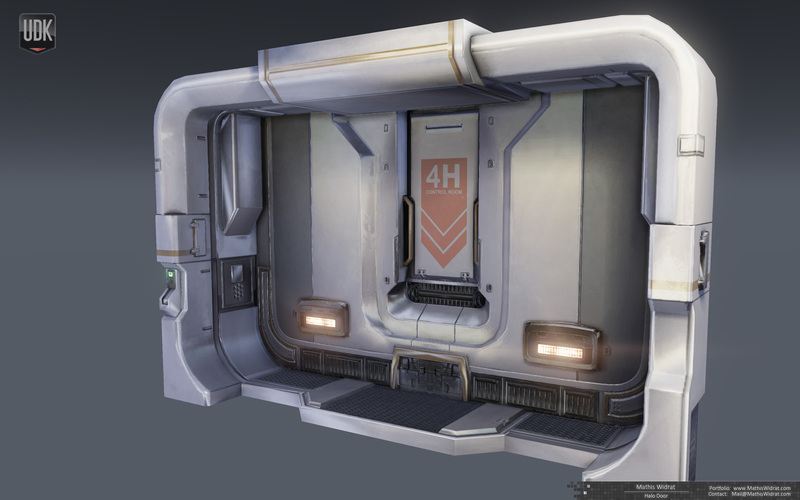 The door was inspired by a highpoly model an artist made for a game of the Halo series. 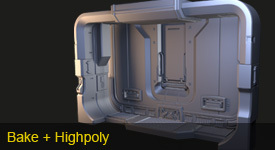 I started to create this door to practice effective and fast high- to lowpoly baking.